You are here: Home / News / Club News / Marathon Specific Training Sessions Available at the Track. Marathon Specific Training Sessions Available at the Track. We currently have a number of runners being coached by Peter Schofield at the track to help achieve their Marathon goals. Graeme Harvey Ultra Asia – Vietnam -100 miles in four days. Graeme is also doing – Al Andalus Ultimate Trail – 5 day 230 ultra. Steven Wilson is also training for a ultra. 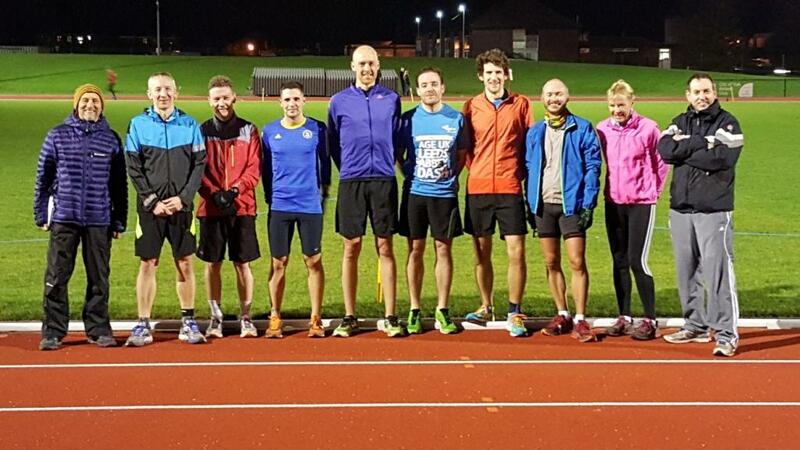 -If in addition to pounding out the miles you would like to see how a structured coaching session could help you with your Marathon goals (or other) please come along to the University Track on Tuesdays at 6.30pm, it’s free to YKH club members.